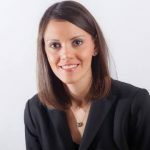 Caitlin Blundell, CPA — founder of Blundell Accounting Solutions — is a certified public accountant, certified QuickBooks Online advisor, and an experienced accounting and audit professional with extensive technical accounting and project management experience. Work For Blundell Accounting Solutions? Claim This Page.